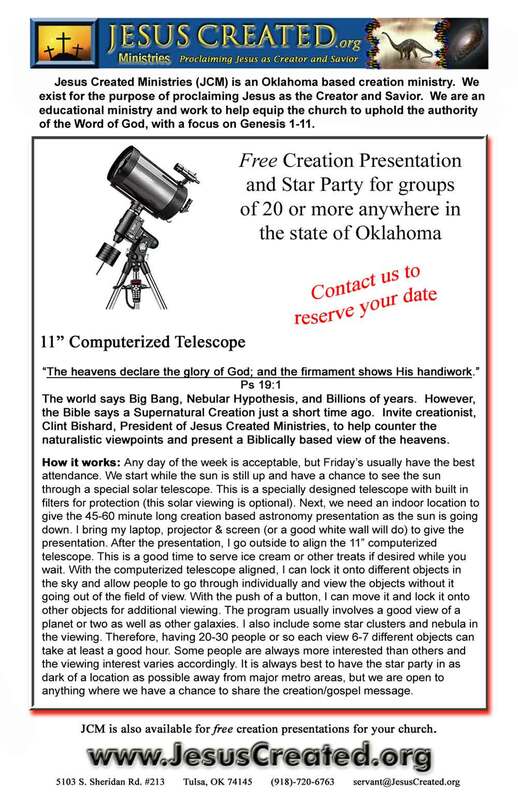 We have speakers available for your church, school, homeschool group, or other possibilities in the Oklahoma vicinity. Speaking engagements are free of charge (love offering may be taken if desired). 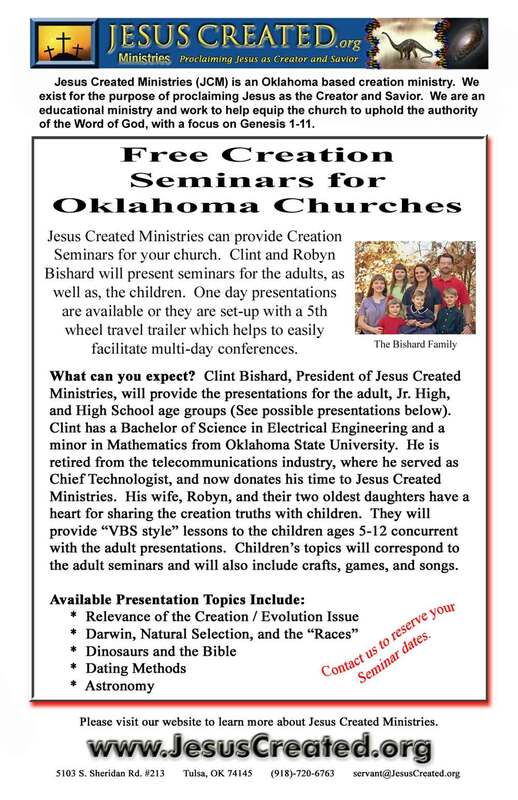 Darwin, Natural Selection, and the "Races"
Send request or inquiries to servant@JesusCreated.org or call 918-720-6763.